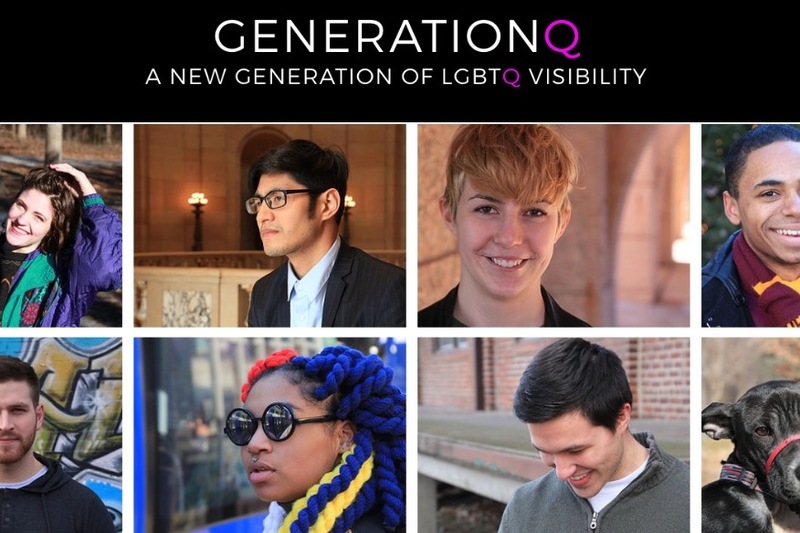 GenerationQ is a 4-episode pilot documentary series focusing on 5 young LGBTQ people redefining the modern queer rights movement in Minnesota. Erin Maye Quade: Erin’s story arc follows her candidacy for the Minnesota House of Representatives as an openly lesbian, mixed race woman. It will combine interviews from Erin’s campaign team and footage from the night of the State and Federal elections, following a tense build-up that results in postponing the local election results until the following morning. Brad Nuemann & Justin Rabon: Brad and Justin are both NCAA Division 1 athletes for the University of Minnesota. Their episode arc follows their stories of coming out to each other, starting a relationship, and the aftermath coming out together as a couple. Z Porter: A self-described gender nihilist, artist and nationally recognized advocate, Z’s story arc explores access for queer people of color within the realm of the art industry. They question appropriation while fighting for trans students’ rights at the Minnesota Department of Education. Joe Loney (Giselle Obermay): Joe explores gender through drag culture, navigating the world of queens and queers as a rising artist. His arc follows his process and what it means to be a Drag Queen in the Twin Cities region. Where was the first season filmed? The pilot season is located in Minneapolis, Minnesota. I have exhausted $6k of my own savings into pre-production & production for the pilot series, requiring crowd-funding to cover post-production & distribution costs. As a young queer filmmaker, I have a deep personal connection and yearning to see this project through to its completion; these stories are a leap towards achieving a level of representation that hasn’t yet been present for young LGBTQ Minnesotans. My hope is that this documentary series acts as a catalyst for further conversations in schools and communities about gender-identity, sexual orientation and the importance of acceptance and love in society. It will also act as a platform for young voices to be heard, helping change the narrative that only people who have passed a specific age-based threshold can make a difference in their communities. If the pilot season is successful, expansion to a national scope for future seasons is expected. I have numerous subjects on stand-by for future episode features. The series would require monetary support to reach them. Thank you for helping support the series! You'll get a virtual hug from our team! As a thank you for donating, you'll get a shout-out on our social media pages! In addition to previous perks listed, you'll get a private digital download of each episode from our pilot season! Limit 1 download of episode per recipient. In addition to previous perks listed, you'll get a personal invitation for 2 to our premiere screening (late Spring 2018). Travel & lodging not included. In addition to previous perks listed, you'll receive "Producer" credit on our IMDB page and end credits of each episode. In addition to previous perks listed (excluding "Producer Credit") you'll be listed as an "Executive Producer" on our IMDB page & on each episode's end credits. You & 1 guest will be flown to the premiere of the series (late Spring 2018) in Minneapolis. Limited to USA. Flights, lodging, & all previous perks included.